As it's getting chilly. Naturally, we cook stew and soup more often these days. 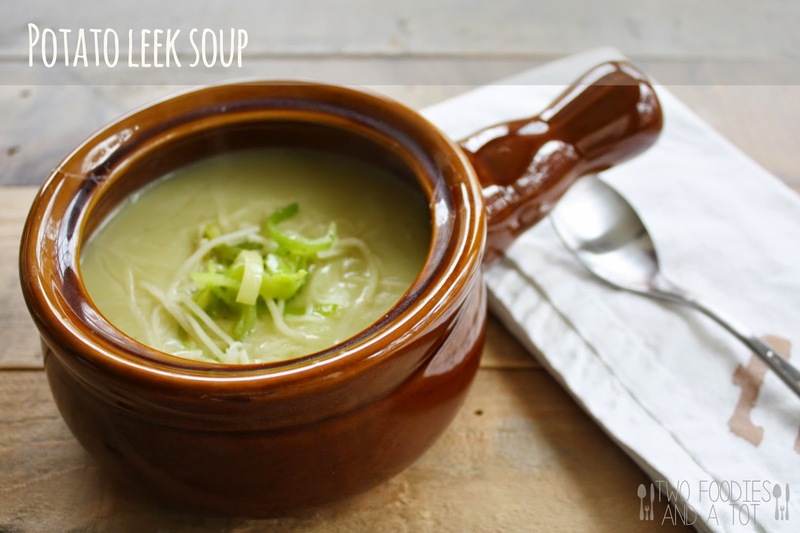 This potato and leek soup has been my family's favorite for a long time. Especially my mom LOVES it with some broccoli florets on top as it makes her feel like she's eating healthier. Haha Leek gives such nice flavor to the dish, yet it's mild. 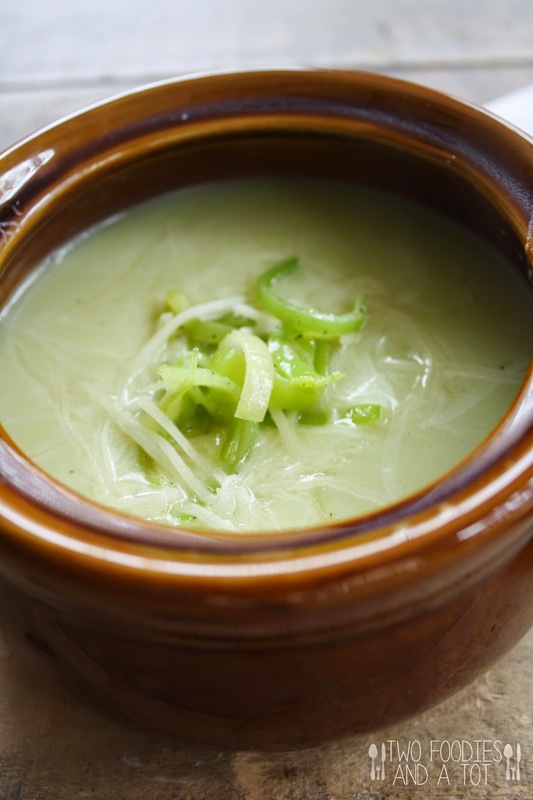 And I like the texture of sauted leek with the smooth soup, that's why I save some for garnish. It makes good 3 portions for adults, so I had a little leftover in the fridge. The next day, I was looking for some snack as I was suddenly starving and little bit of chilled potato leek soup just hit the spot. People serve chilled potato leek soup shooter as appetizer anyway. My tot is a huge fan of variety of soups, I served this creamy soup without heavy cream and chicken wings for lunch and it was a huge hit. I cooked the wings with our newest addition to the kitchen, electric pressure cooker and I am absolutely loving it. Whatever I used to do with slow cooker for 6hours can be done in 30 minutes with the same result! Maybe next time I have a chance to post stew or something, I'll write more about it. By that time, I'll probably experiment more recipes with it. 1. In a pot, heat up the olive oil and saute chopped leek. When softened a little, set aside 2-3 Tbsp of leek for garnish. 2. Add potato, salt, pepper and stock/water and bring it to boil. Cook on medium heat with the lid open, until potato's fork tender. Using immersion blender(or regular blender) puree until smooth. 3. Stir in milk and simmer for a few minutes. Scoop in the bowl and garnish with sauted leek and cheese if desired.